“The emphasis going forward is to emerge stronger as a global car company and redefine Proton as both a product and brand in the competitive global automotive industry,” Proton executive chairman Datuk Seri Mohd Khamil Jamil said in his speech. The Prevé is also the first Proton model to receive the five-star Malaysian Vehicle Assessment Programme (MyVAP) rating by the Malaysian Institute of Road Safety (Miros). All variants of the car will come with active headrests, LED lights, electronic stability control (ESC), anti-lock brakes (ABS) electronic brakeforce distribution (EBD), and dual front airbags as standard. Prices for the Prevé start at RM59,990 for the entry-level model and goes up to RM72,990 for the 1.6 CFE Premium. 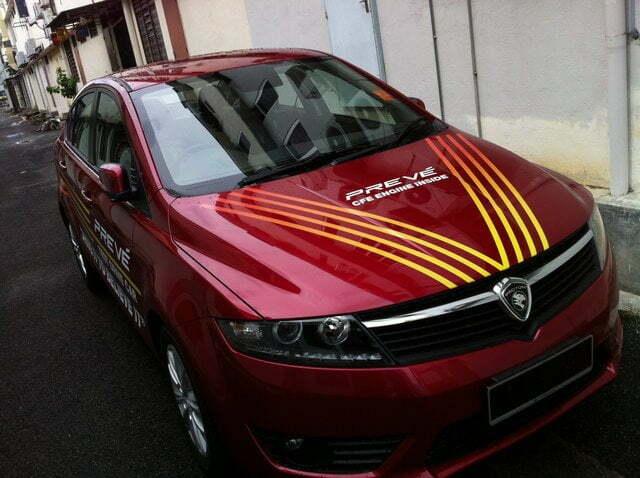 Test drives will be available at Proton showrooms nationwide from tomorrow. The launch had been clouded earlier in the week by a report that managing director Datuk Seri Syed Zainal Abidin Syed Mohamed Tahir had submitted his resignation following the national carmakers acquisition by DRB-Hicom.